While reading some of the posts in Silver fox retirement blog, :). I learned something. One : Don’t miss the boat. Three : Plan ahead. 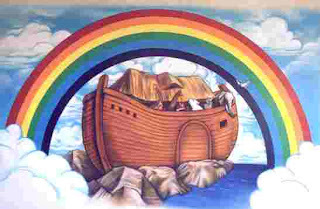 It wasn’t raining when Noah built the Ark. Five : Don’t listen to critics; just get on with the job that needs to be done. Seven : For safety sake, travel in pairs. Eight : Speed isn’t always an advantage. The snails were on board with the cheetahs. Nine : When you’re stressed, float a while. Ten : Remember, the Ark was built by amateurs; the Titanic by professionals.